Advertised price expires at midnight on 04-25-2019. 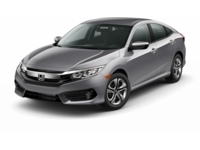 This Honda Civic is CERTIFIED! Back-up Camera; Bluetooth; This 2016 Honda Civic EX; has a great Crystal Black Pearl exterior; and a clean Black interior! 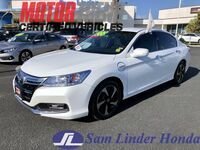 Auto Climate Control; Steering Wheel Controls; Sunroof/Moonroof; Aux Audio Input; Automatic Headlights Keyless Start Alloy Wheels; AM/FM Radio This Honda Civic gets great fuel economy with over 41.0 MPG on the highway! Wheel Alignment Stability Control; ABS Brakes Front Wheel Drive Call to confirm availability and schedule a no-obligation test drive! We are located at 300 Auto Center Circle; Salinas; CA 93907.